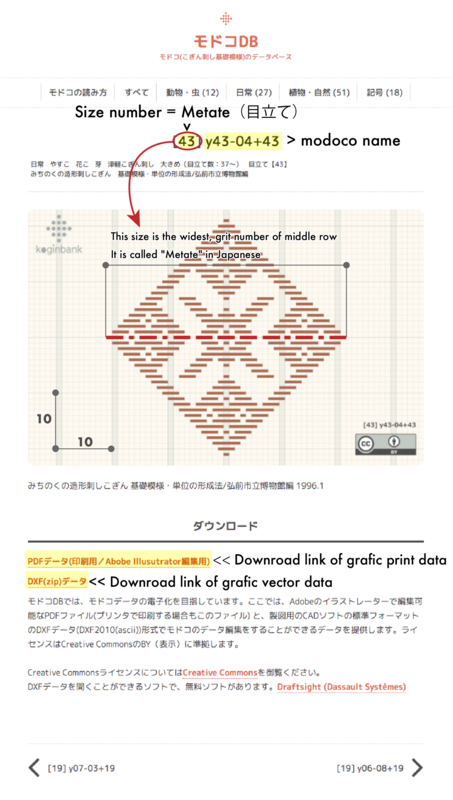 Modoco Database is our site page that collects graphics of Kogin-zashi. Sorry, We only manage Japanese web pages. 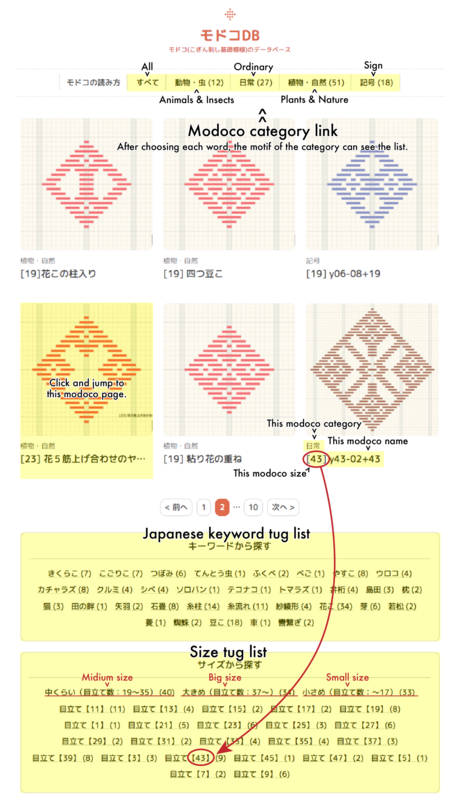 So, We will introduce how to use Modoco Database Japanese web page. Please refer to it and use the Japanese Modco DB.